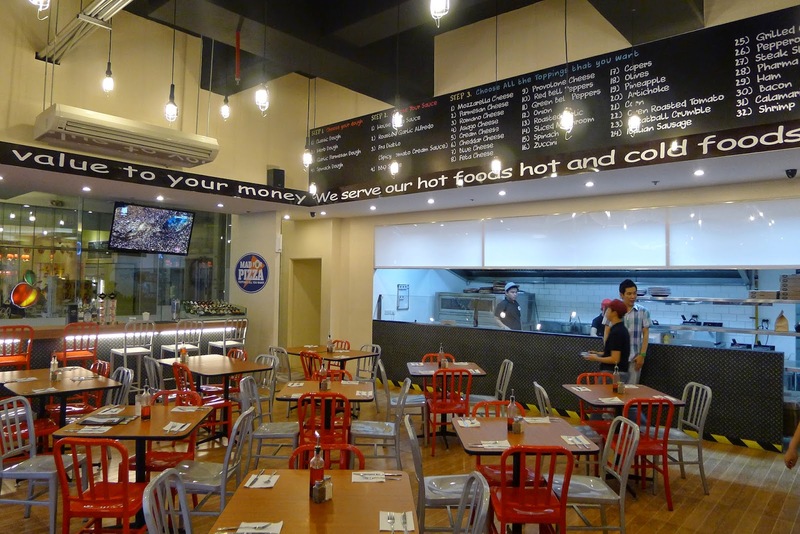 A few weeks ago, Mickey and I were invited to try out the dishes of the newly opened restaurant, Mad For Pizza in Il Terrazzo, along Tomas Morato in Quezon City. We arrived in the early evening so we can get a good table and also so we can take photos with still a little bit of natural light. 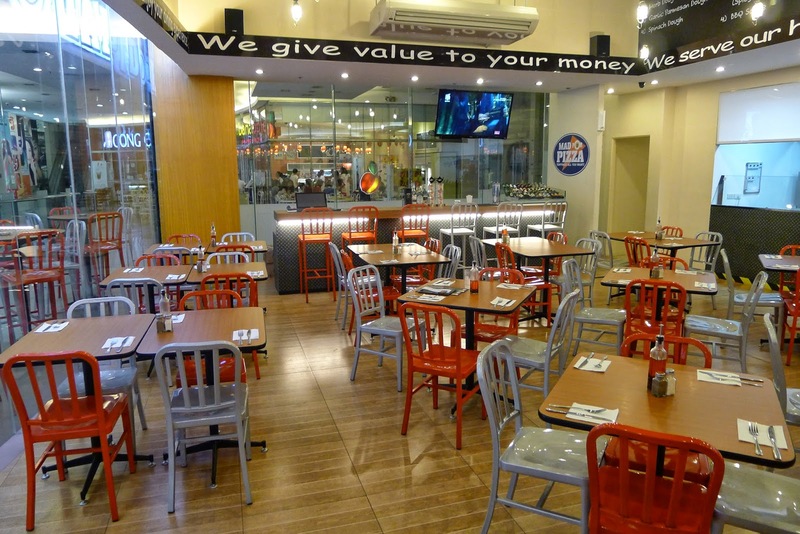 Mad For Pizza has a casual vibe, the dining crowd consists mostly of big groups (families, officemates and friends) and the occasional couple going out on a date and who likes good food (just like us, haha!). One of the pluses of this restaurant is that their music playlist are purely hits from the '80's. 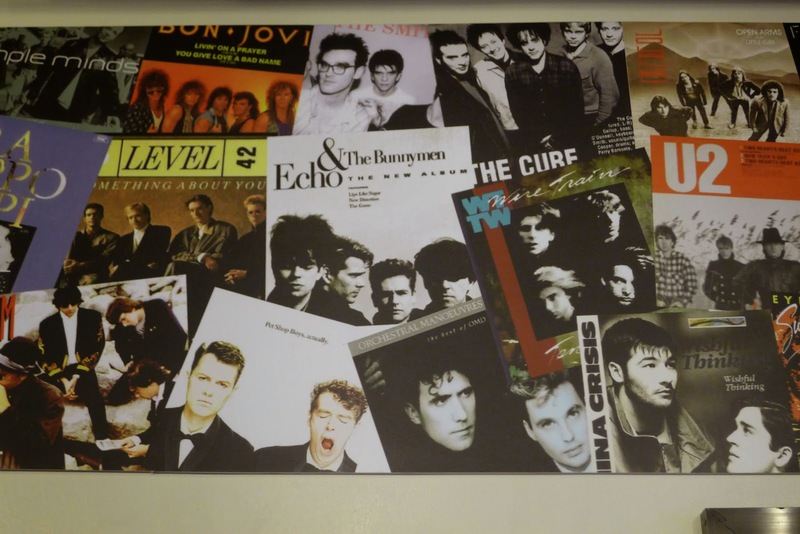 It is evident in the walls where these album covers are displayed. I'm pretty sure you'll find a group or an artist you are familiar with (and sing along to) and honestly, one of the reasons we lingered (aside of course for some of our favorite food choices). The funny thing is, we have all these albums at home! Of course, Mickey and I were excited to try their Do-It-Yourself Pizza with 40 toppings to choose from! Our server that night who helped us with our choices was of course, named Mozzarella! 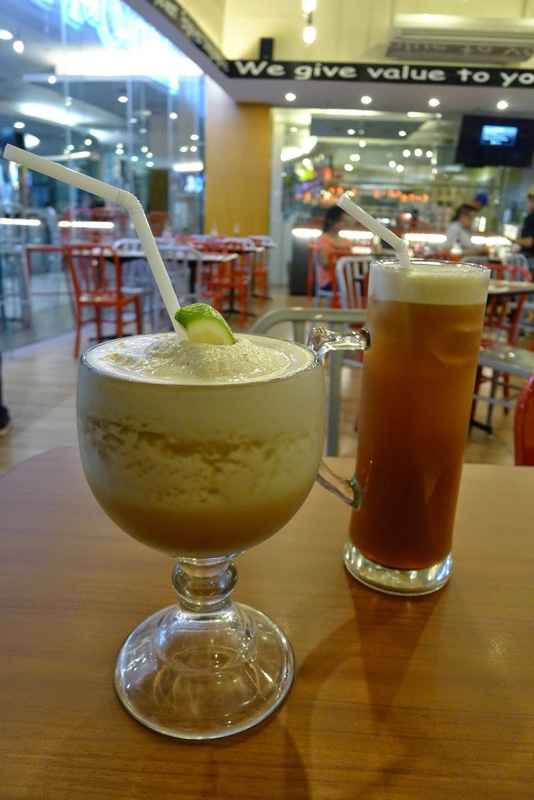 We started off with the drinks, I ordered a glass of Frozen Iced Tea (Php 88.00), while Mickey ordered the Bottomless Iced Tea (Php 108.00). I ordered the House Salad (Php 158.00). 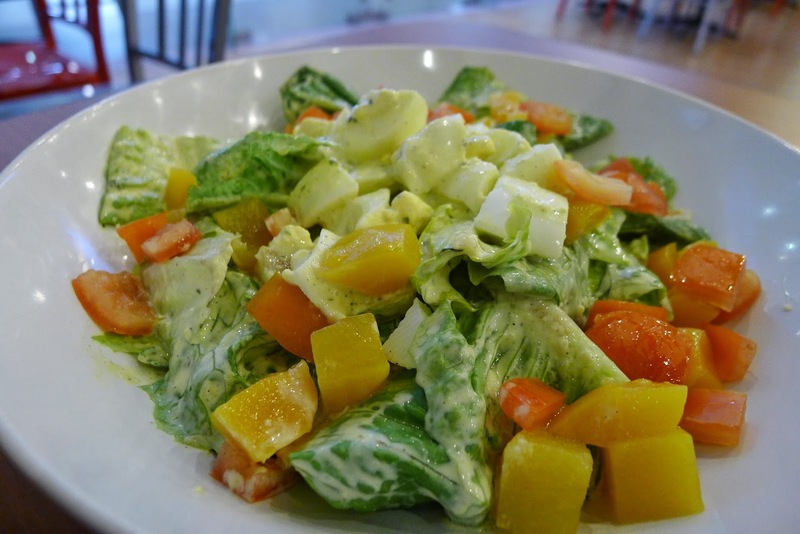 The ingredients were fresh, though I would have enjoyed this dish better if the dressing wasn't too thick. 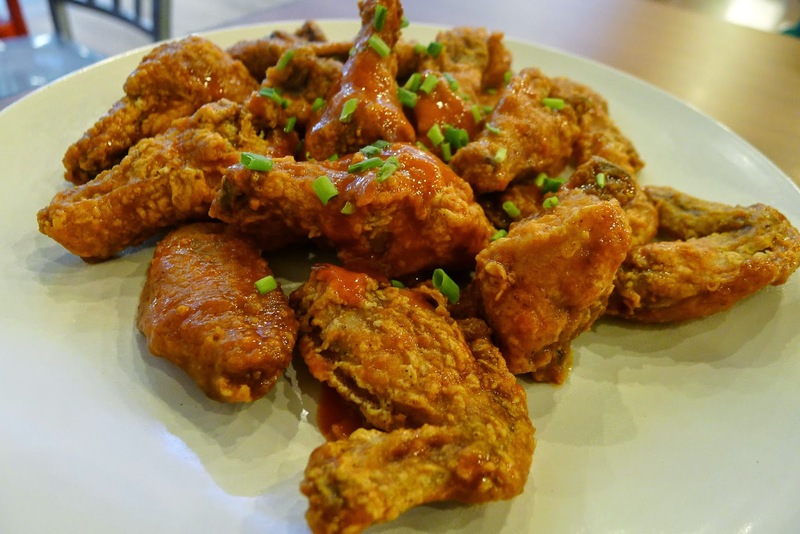 Here's one of our favorites dishes at Mad For Pizza, their 1/2 kilo Buffalo Wings (Php268.00). It was crispy but not dry and had the right amount of spice. This dish also has a generous serving and is good to share with 3-4 persons. 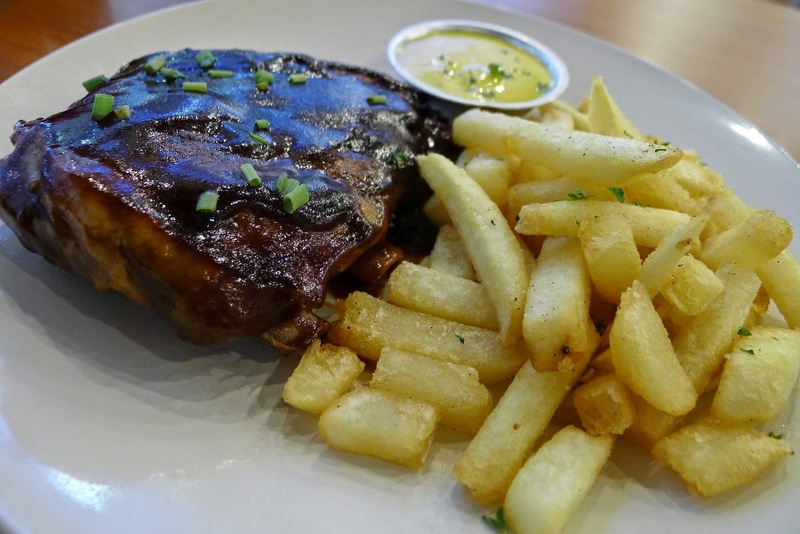 For the main dish, we tried the Tennessee Pork Spareribs (Php 268.00), it was alright, although we would have preferred fresh potatoes with skin versus the frozen fries the dish was served with. 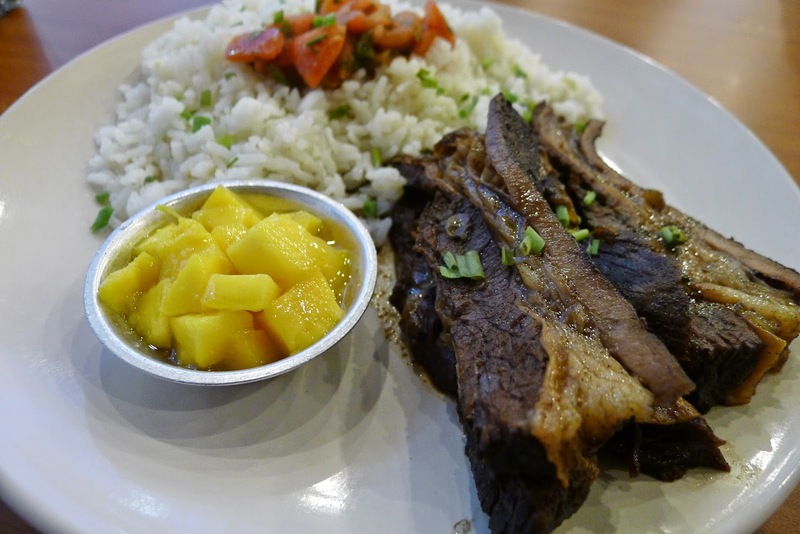 We also tried the Amboy Angus Beef Belly in Adobo Sauce (Php 218.00). Melt in your mouth beef marinated well in adobo sauce. 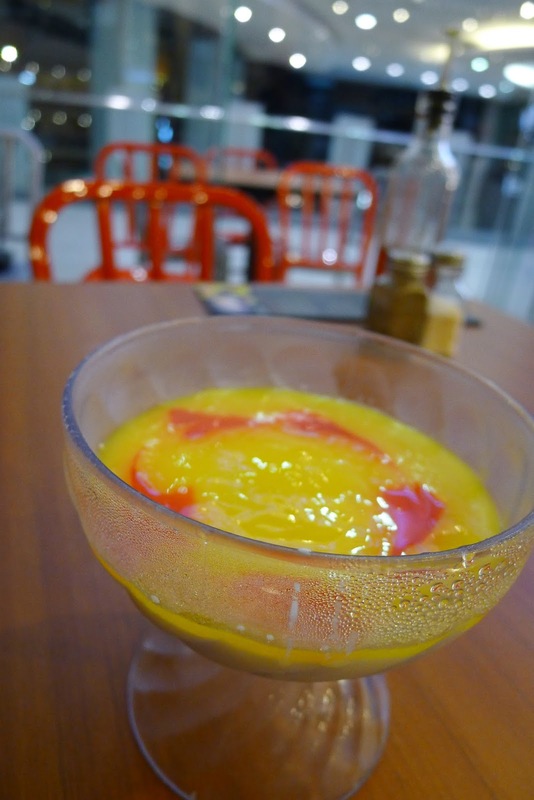 It's a must try dish! 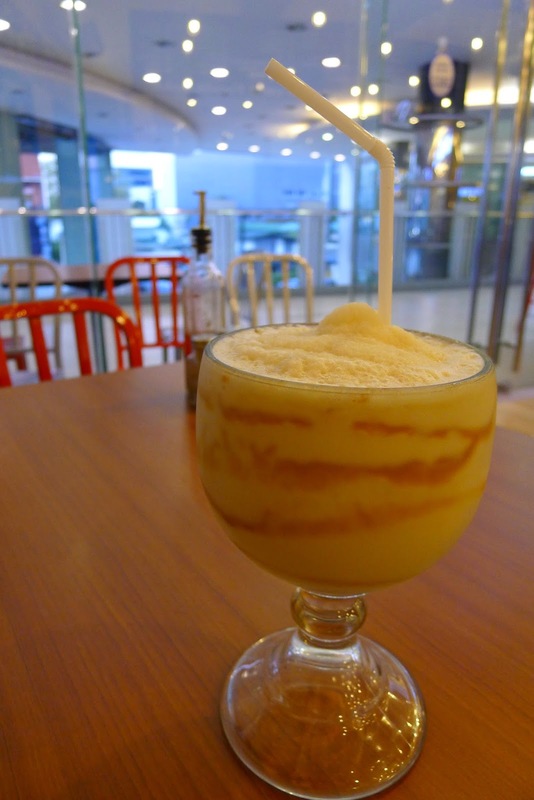 After I finished my Frozen Ice Tea, I also tried the Salted Caramel Shake. This would have been a good order but it was a little bit salty for my taste. The saltiness should just be a hint on the Caramel Shake. Alright, here's what we are proud of, and we would say even the Italians would be proud of our creation (Haha!). We present to you our very own D.I.Y. Pizza! Here's how we did ours: Step 1) Choose your dough: we chose the classic dough. Step 2) Choose your sauce: we chose the house pizza sauce. Step 3) Choose from the 40 toppings (toppings all you want): we chose mozzarella, feta cheese, onions, roasted garlic, oven roasted tomato, Italian sausage, pepperoni and basil. We would've wanted shrimp too, but there was no shrimp that day (too bad! ), so we replaced it with Italian sausage. But nonetheless, it was one of the best pizza combinations we have ever tasted, no kidding! Copy the toppings we chose above and you will thank us. Also, just a friendly reminder to all you pizza lovers out there, the 40 toppings are there for combination choices. Not because there are 40 toppings to choose from, you will combine all to make a 3" inch thick pizza. According to the Italians, "the simpler the better". 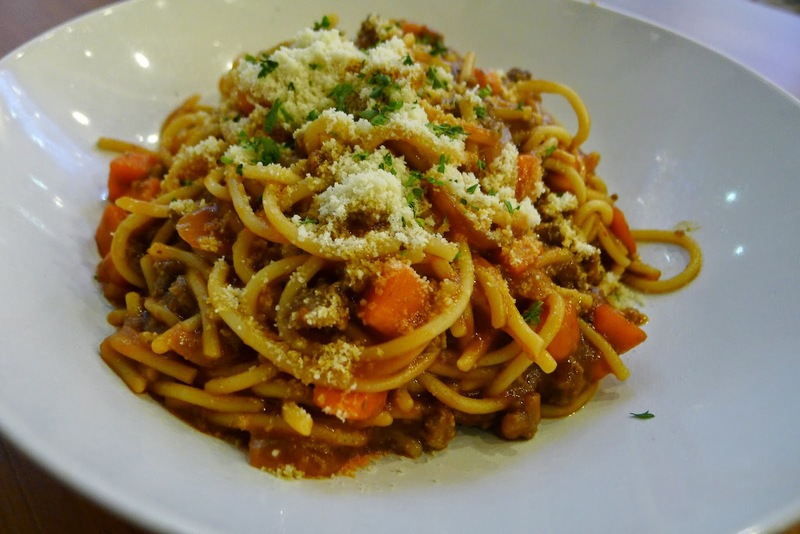 We also tried the Beef Stew Pasta (Php 198.00). This dish has quite a strong flavor, I can't really pinpoint what it is, but I guess if that flavor is toned down a bit, I would have enjoyed this dish better. Also, I noticed that the pasta was cut into smaller portions, I prefer the pasta in it's normal length. 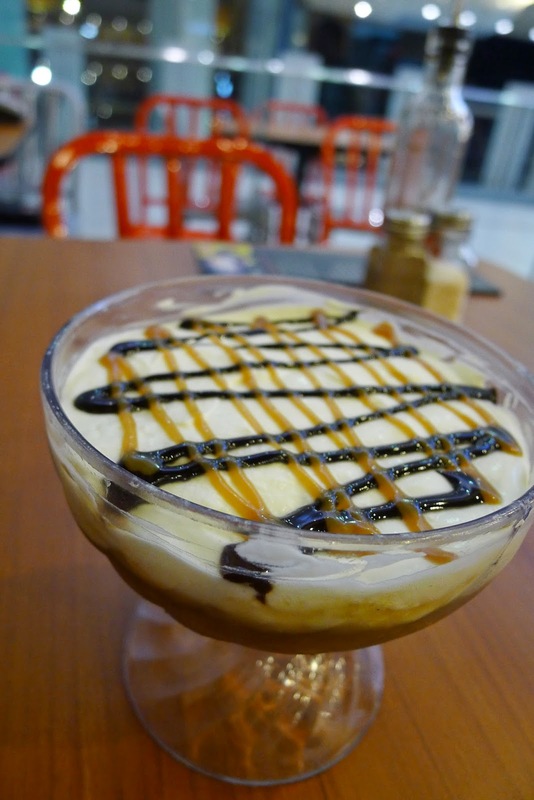 While I ordered the Banoffee Cobbler (Php 88.00). I would have wanted to try the Tiramisu but it wasn't available that time. 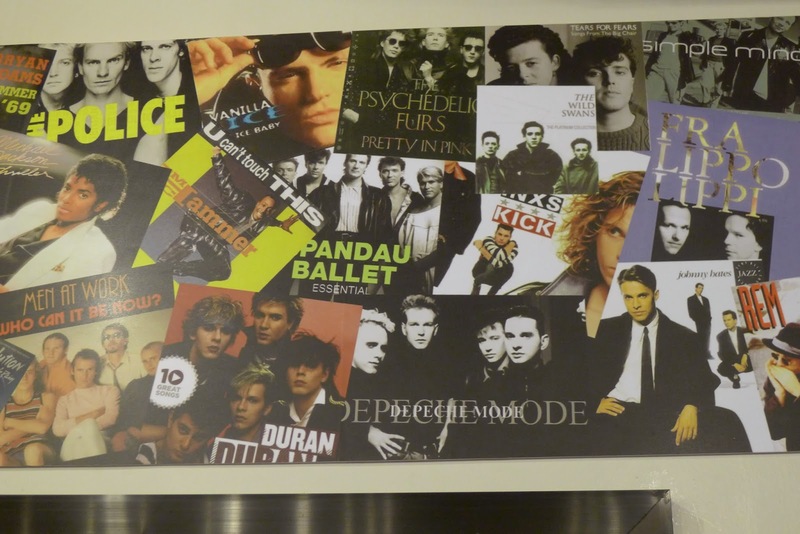 Overall, our dining experience was great, we loved the casual vibe, the '80's playlist and our top three "not to miss" dishes to try at Mad for Pizza are (drum roll please! ): 1) the 1/2 kilo Buffalo Wings, 2) the Amboy Angus Beef Belly in Adobo Sauce and 3) the D.I.Y. pizza with 40 toppings to choose from. 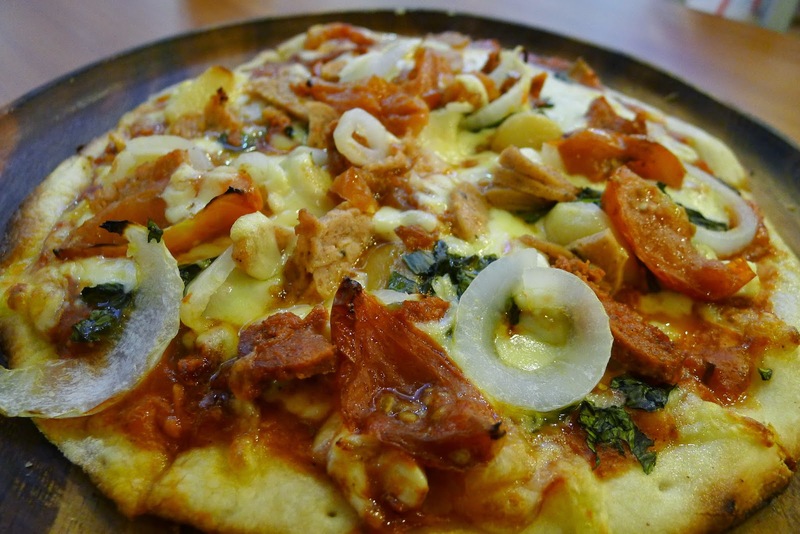 Try the food offerings at Mad For Pizza! 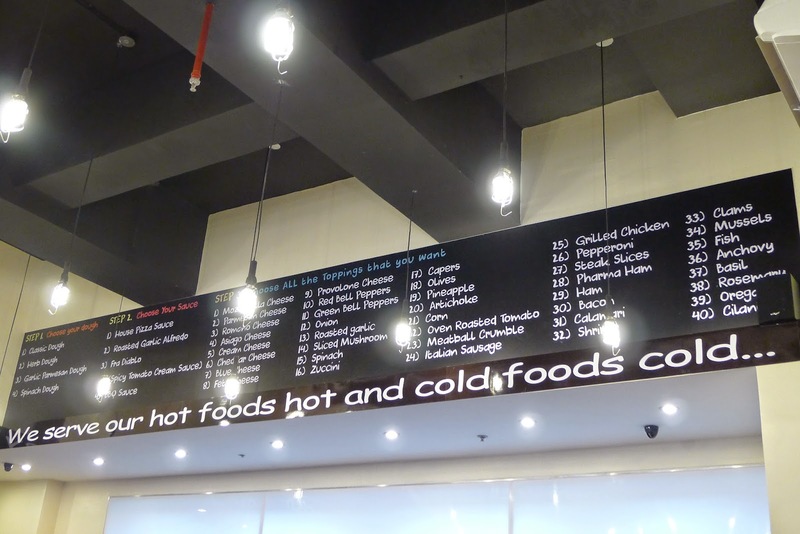 You'll find them at the 2nd Floor of the Il Terrazo Center, Tomas Morato, Quezon City. For inquiries and reservations call (+63-2) 351-2621. 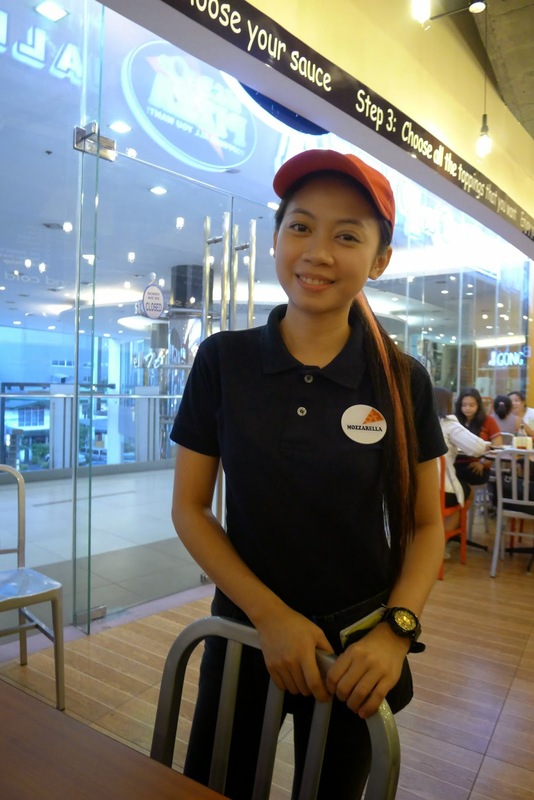 For updates, follow them on Instagram and Twitter @MadForPizza and on facebook at https://www.facebook.com/MadForPizzaPh.